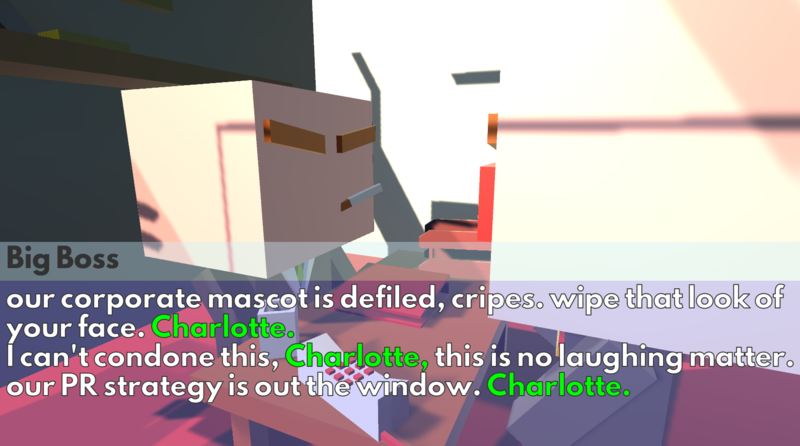 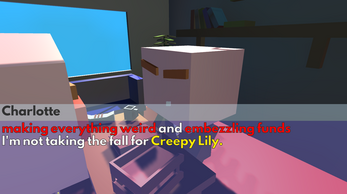 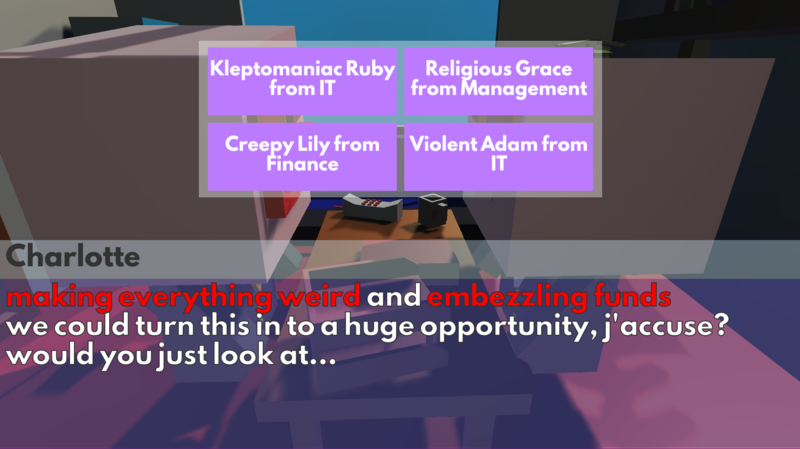 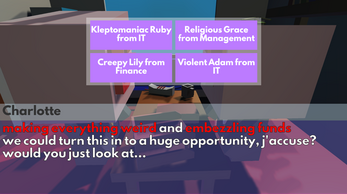 In Excuses Excuses, you play as a horrible officeworker who always does strange things in the office. 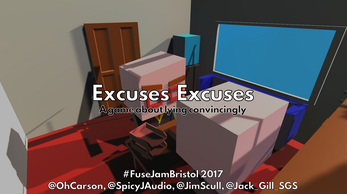 You're on the brink of getting fired, unless you find the right person to blame it on. How long can your career last? Your career contains randomly generated actions and dialogue. Made for #fusejam 2017 over around 2 days, a few bugs have been fixed post jam.